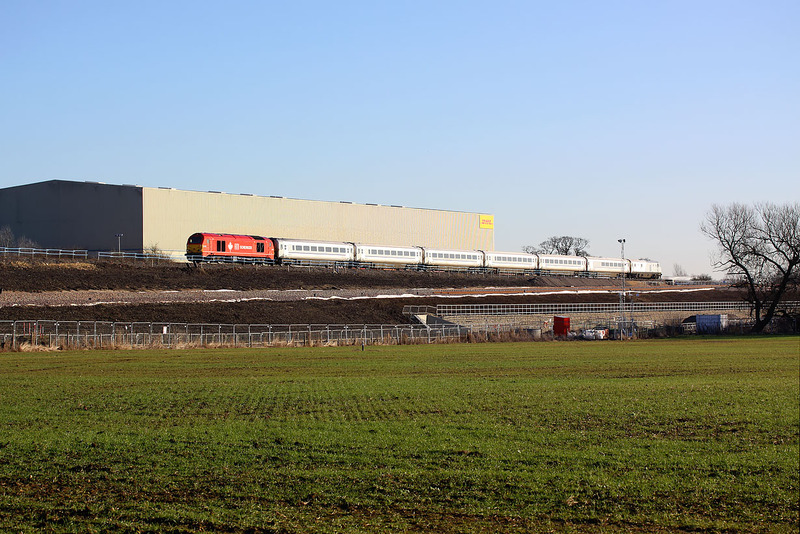 With the DHL distribution centre in the background, 67018 Keith Heller passes what will soon be Bicester South Junction on 19 January 2015 with the 1R22 10:15 Marylebone to Birmingham Moor Street Chiltern Railways service. The steeply graded new chord linking the Oxford to Bicester line with the Chiltern Line can be seen just in front of the train. The line is presently under construction, and when complete will allow trains from Oxford to reach London via Bicester.